If your child is having trouble concentrating, he or she may be suffering from attention deficit hyperactivity disorder (ADHD) or attention deficit disorder (ADD). Then again, maybe not. Children who are “always on the go,” fidget excessively, are easily excitable and restless are often labeled as ADHD. Children who have a poor attention span, daydream a lot, stare out into space, lose things and forget to turn in homework are often labeled as ADD. But these labels don’t always apply, nor are they always accurate diagnoses. At ABT, we try to avoid labels. Instead, we look for effective behavior management solutions for different kinds of behavior problems in children. Board-certified pediatrician doctor Angelina Farella, MD, has nearly a decade of experience treating young patients of all ages. She offers special pediatric therapy programs aimed at creating effective solutions. As a last resort, Dr. Farella will consider medication for your child. If so, she offers once-a-day medication that’s easy for kids to take. Once-a-day medication allows your child to take medication in the morning at home and not have to worry about it for the rest of the day. For parents, Dr. Farella offers open discussions, easy-to-read literature and evening learning opportunities. After an initial consultation, she allows parents time to consider treatment recommendations for behavior modification. She wants parents to understand that it’s not the child’s fault if he or she can’t pay attention or sit still, and it may not be due to ADD or ADHD, either. When your child needs real solutions for behavioral problems, choose ABT and Dr. Farella. Feel free to ask any questions or share your concerns about behavioral counseling. For personalized one-on-one care for your child’s most challenging problems, call us today. 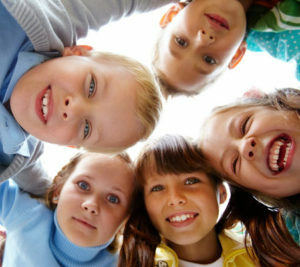 Let us help you with ADDl/ADHD testing for attention deficit disorder in children. Come to A Brighter Tomorrow Pediatrics. Call us at 281.332.0500 to schedule your free tour and consultation with pediatric doctor Angelina Farella, MD. We provide our services to residents of Pearland, TX (Brazoria County), Friendswood, TX, League City, TX and Webster, TX (Galveston County, Harris County).